This is a beginner to intermediate level course to convert a traditional USB storage device into a Wireless storage device. This course is great for people who want to create the device themselves. The advantages of sharing a storage device wireless are plenty, and the main downside to purchasing a wireless storage device is its cost. But, How cool would it be if you could convert a traditional USB storage device into a wireless storage device with the help of the 9$ computer-CHIP? 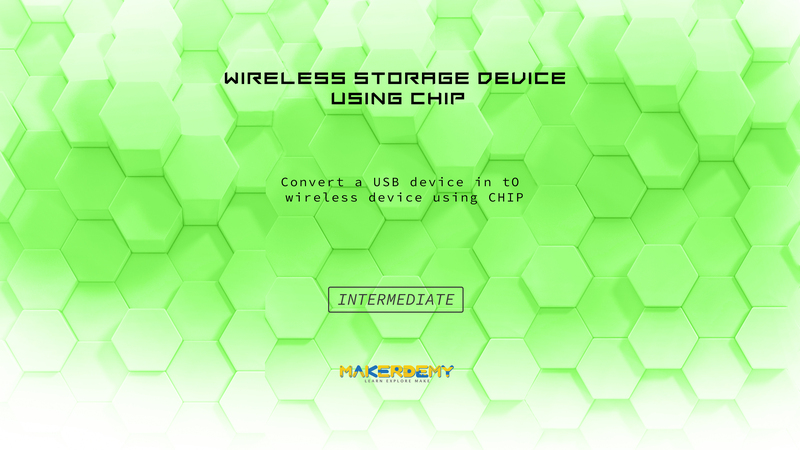 In this course, I will teach you in detail to connect to the CHIP remotely using terminal based andGUI based software. You will then learn to install and configure network sharing software and then learn to share contents over your own WiFi Hotspot. Pretty Interesting. Yeah?! The entire course course can be completed over a period of 1 hour assuming that you have all the hardware necessary. Do not worry if it takes you longer since the longer it takes, the more you will be learning and more the fun. storage device into your own wireless storage device!